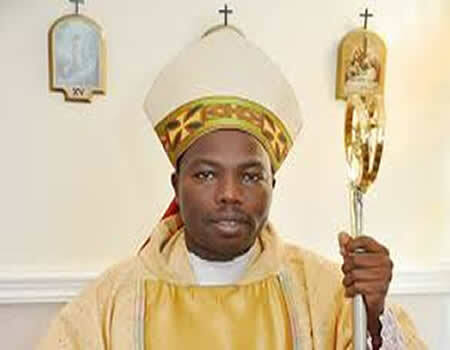 Bishop of Diocese of Ondo, Church of Nigeria (Anglican Communion), Stephen Oni, has advised President Muhammad Buhari to forgo his re-election bid in 2019. Punch News reports that the clergy made this known at the swearing-in and inauguration of a new chancellor and officials at the Cathedral Church of St. Stephen, Oke-Aluko in Ondo State. He explained that the nation needed a young and visionary person to become the next president of the country, stressing that most Nigerian politicians had overstayed their time in office and refused to leave the post for the younger generation. He added that the trend was one of the problems faced by the country’s politics. At the swearing-in ceremony, a Federal High Court judge, Justice Obayomi Taiwo, was invested as the Chancellor, Ayodele Akintunde (SAN), as the Deputy Chancellor while Yejide Ogundipe and Olu Adenodi were reappointed as registrar and deputy registrar respectively. The clergy delivered a sermon titled, ‘Responsibility, not title’. In his sermon, he lamented the recycling of old politicians in power at all levels of government in the country, saying that Nigerian politicians go any length to perpetuate themselves in power. He recounted that most people have thrown caution into the air, adding that worthy legacy is nonexistence as we are recycling rust brains, leaders coming back again with pictures and various promises of being better leaders but all to no avail. He said “I don’t expect any 75 to 80 years old still in government, what are they doing there? When will they give their children a place? The age of youthfulness is between 25, 30 and 40; who will want to employ in a bank a 75-year-old man? “Are we now saying a 75-year-old should go to the National Assembly, what are they doing there? We need young people who have aspirations and highly adventurous. So, let them allow them in.” Oni said.